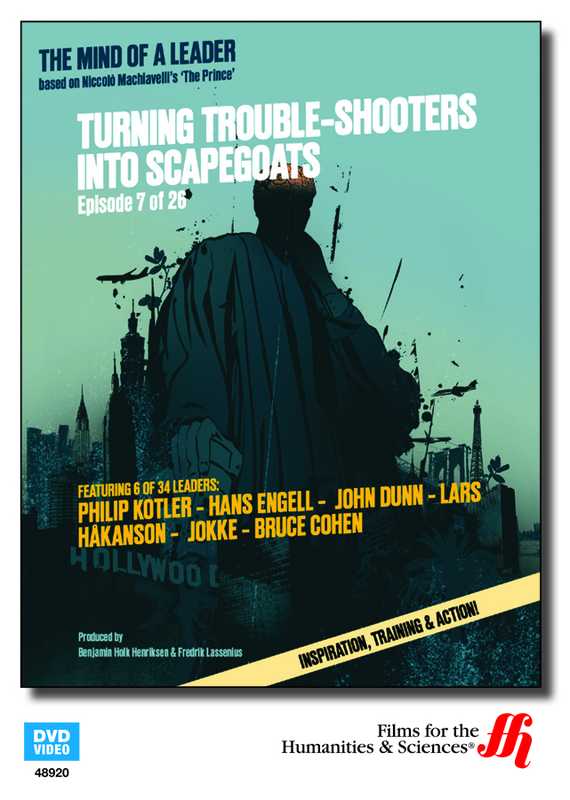 Before you immediately form a negative view on leaders using scapegoats, learn about the process and get the view from a few experts in the field in this 30 minute program. The seventh chapter of Niccolo Machiavelli’s book, The Prince, talks about leaders who turn troubleshooters into scapegoats. According to Machiavelli, clever leaders will find someone else to administer the reforms that are unpopular. What is discussed in this program by Hans Engell, John Dunn, Jokke, Philip Kotler, and Lars Hakanson is whether this practice is outdated or if it is an unfortunate necessary. This program is only a half hour long and is part of the Mind of a Leader series. It focuses heavily on what scapegoats are and whether they actually work. Finally, movie producer, Bruce Cohen, gives his opinion on the tactic and then it closes with a summary of the key points, leaving you to make your own opinion.